won 56 straight matches from 2012-13; lost only one set in 2013 (finishing 96-1); over 420 career winsIn 2006, when St. James Academy opened in Lenexa (KS) Nancy Dorsey became the head coach at a brand new school with only a freshman class. In just nine varsity seasons Coach Dorsey’s teams have won seven Kansas High School State Championships and finished second twice. Dorsey’s teams have also received national recognition being crowned the PrepVolleyball.com National Champs in the 2010 and 2013 seasons. In 2013, Dorsey’s team remained unbeaten, going 46-0, dropping only one single set the entire season. The Thunder also finished 4th in the nation (PrepVolleyball.com) in the 2008 and 2011 seasons as well as a 3rd place National finish in 2015. In 2013 Dorsey was named the American Family Insurance All-USA Coach of the Year. This season Dorsey was selected as the AVCA National Coach of the Year. 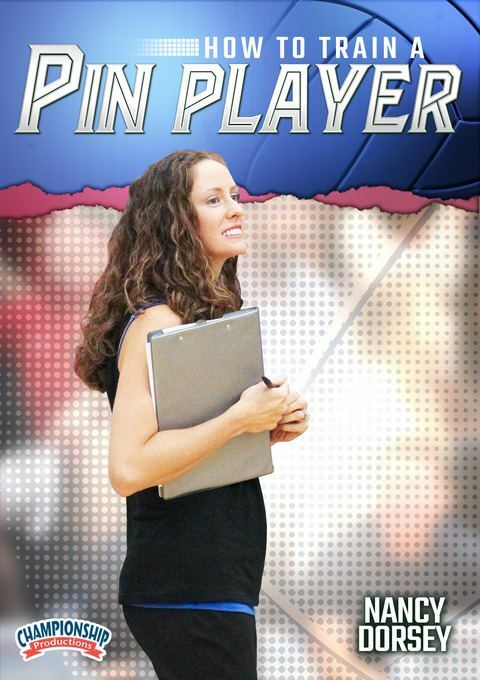 Her overall record at St. James Academy is 421-30.Having great pin hitters is crucial to a team’s success. 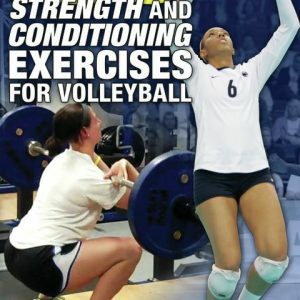 One of the most successful high school coaches in the country, Nancy Dorsey, presents an in-depth tutorial training left and right side hitters – mentally and physically.Each drill in this video stresses the need for hitters to “play defense first” before transitioning to offense. Most of the drills are run at a fast tempo, which provides great endurance training for players. Your athletes will also learn fundamentals and multiple skills thanks to the game-like nature of Coach Dorsey’s drills. Coach Dorsey start outs with some basic footwork moves that have outside hitters moving from block to transition from multiple points on the net. The approach is added to the mix, as players run fast-paced drills that incorporate all skills and also work on endurance. Coach Dorsey stresses the “defense first” mentality and has athletes push the block before finishing the transition strong. Once basic skills are learned, it’s time to cover a variety of shots that players can use on the outside. Coach Dorsey reviews which shots are most effective depending on the defense you’ll face, as well as how to execute each shot. Attacking from the serve receive position is also covered to make your outside hitters available to attack at all times. Blind Hawk Block – A coach tosses the ball over the blocker’s head to the opposing hitter, who immediately attacks the ball. This forces the blocker to stay in the read position and not float to a position that would make it hard to block. 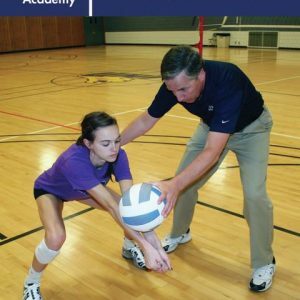 A great way to get blockers to learn to look at the hitter! Hitter Heck Drill – This drill is great for conditioning, competition and practicing the fundamentals of hitting. You can run it from either the right or left side of the net and get all your pin hitters involved. It puts a player against a full defense on the other side of the net, which gives the hitter great experience hitting into the defense while including the entire team so you don’t have kids standing around the gym. With multiple variations, you can increase the levels of competition and conditioning to fit the needs of your team. Nine Player Pepper – While defensive players stay in static positions, the setter and pin hitters have to continually rotate from side to side every time the ball crosses the net. This not only affords great conditioning to the front row players, but also has the pin hitters switching between outside and right side with each move. This gives them both offensive and defensive training during the drill.